BBC One South West switched to Astra 1N satellite at 10818.00MHz, pol.V (DVB-S , 10818.00MHz, pol.V SR:22000 FEC:5/6 PID:5300/5301 England). Sky Digital: PID er blitt endret til BBC One South West on 10818.00MHz, pol.V: PID:5300/5301 England SID:10354 ( SR:22000 FEC:5/6 - FTA). Sky Digital: PID er blitt endret til BBC One South West on 10818.00MHz, pol.V: PID:2324/2325 England SID:10354 ( SR:22000 FEC:5/6 - FTA). BBC & Sky Digital: PID er blitt endret til BBC One South West on 10818.00MHz, pol.V: PID:2323/2324 England SID:10354 ( SR:22000 FEC:5/6 - FTA). BBC & Sky Digital: PID er blitt endret til BBC One South West on 10818.00MHz, pol.V: PID:2324/2325 England SID:10354 ( SR:22000 FEC:5/6 - FTA). BBC & Sky Digital: PID er blitt endret til BBC One South West on 10818.00MHz, pol.V: PID:2326/2327 England SID:10354 ( SR:22000 FEC:5/6 - FTA). BBC & Sky Digital: BBC One South West (England) er nå overført til fri luft (10818.00MHz, pol.V SR:22000 FEC:5/6 SID:10354 PID:2314/2315 England). 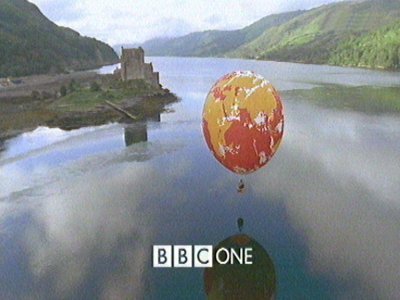 Sky Digital: En ny kanal har startet: BBC One South West (England) i DVB-S on 10818.00MHz, pol.V SR:22000 FEC:5/6 SID:10354 PID:2314/2315 England - VideoGuard.